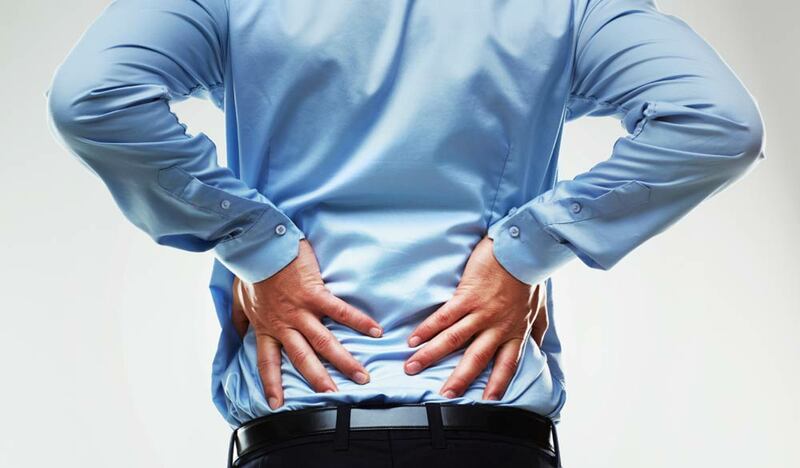 Treating and Preventing Back Injury | PrimeYours! It is estimated that 70-80 per cent of adults will suffer some sort of back pain in their lives. Despite how ubiquitous back pain is, the cause of back pain cannot be pinpointed 85 per cent of the time! Because 9 times out of 10, the cause of back pain is a strain or sprain in the back muscles, ligaments or soft tissue in the back (usually the lower back), the best treatment for back pain is time and moderate movement and conditioning. Because back injury is going to affect every aspect of living your life, from working to simply performing daily functions, your best policy is to condition your back to prevent back injury. I will give you some daily tips top accomplish that, as well as some tips for re-building the strength and mobility in your back after an injury has occurred. There are three primary focuses in back injury prevention: posture, strength and flexibility. Despite the fact that it sounds like a motherly nag, having and maintaining proper posture is an important part of protecting your back from injury. Standing and sitting upright prevents placing undo strain on your back, as well as helping to train the muscles in your back to maintain a straight spine into your elderly years. Keep your shoulders back, your head in line with your spine and your belly tight to prevent undo stress on your spine and promote a straight, strong back. The second step to preventing back injury is conditioning your body. In order to keep your back safe from injury, there are three areas of your body that you need to focus on conditioning: your back, your abs and core muscles, and supporting muscles such as the thighs, hips and hamstrings. You can build and strengthen the muscles in your back by doing a couple of very simple floor exercises 4-5 times a week. One is the prone (or front-lying) chest lift. Lie face down on the floor (preferably on a mat or a towel) with your arms at your sides. Using your lower back muscles, lift your shoulders and chest off the floor, keeping your hips and thighs on the floor. Hold for 5 seconds and lower, repeating 5 times to start out. Over time, slowly increase the length of time you hold the lift and the number of reps. If you find that you are struggling at first, place your hands at your shoulders. If you feel a strain in your back, touch your finger tips to the ground to give yourself a little support. If you lift yourself up by pushing on your hands, however, you are not doing your back any great favours. A second strengthening exercise is the alternate leg/arm lift. Lying facing down, stretch your arms above your head. Lift your left arm and your right leg and hold them several inches off the floor for 5 seconds, then lower. Repeat with the other leg and arm. Do 5 reps, slowly increasing the number of reps and length of the lift over time. If you find that this exercise puts too much of a strain on your lower back, rise to your hands and knees. Lift your opposing arm/leg until they are parallel with the floor. Hold and then lower. Strong abdominal muscles are an important component to a strong back. Your back muscles, along with your abs (upper, lower and obliques), form the core area of your body. Core muscle strength and stability are two very important aspects to maintaining a healthy back, as these muscles support the spine and have a hand in stabilizing almost every activity we attempt. Do straight up crunches and oblique crunches to strengthen your abdominal muscles. The plank is also a great way to strengthen the core. Lie facing your mat with your shoulders raised on your elbows (with hands face-down on the mat). Flex your toes and raise your body so that it forms a straight line from your head to your heels. To intensify the plank, try lifting the opposing leg and arm. If the plank is initially too intense for you, raise yourself up, keeping your knees, calves and feet on the floor. Your leg and hip muscles are important supporting muscles that keep your back safe from injury. Specifically, try to work thigh, hamstring and hip strengthening exercises into your fitness routine. These muscles support your back in its lifting and twisting efforts every day. The third step to preventing back injury is stretching. Stretch your back muscles to keep them limber and flexible 5-7 times a week. Limber muscles are less prone to injury as their support allows your body to move in its full range of motion. Some great back stretches include the double knee chest stretch and the figure-4 stretch. For the first, lie on your back and raise your knees to you chest, holding them in place with your hands just below your knees. Pull your knees as closely as you can to your chest and hold. For a great lower back massage, gently roll your knees from side to side (this will also give your obliques a little workout!). For the figure-4 stretch, lie on your back with your right knee bent. Grab your knee with your hand and pull it toward your chest and then across toward your left shoulder. Hold, release, and repeat with your opposite leg. Remember to stretch your supporting muscles after a workout, including your abs, quads, hamstrings and hip flexors. Many slower cadence classes, such as yoga, pilates or tai-chi will give your back, abs and supporting muscles a great workout as well, if you are the type of person who is more apt to stick with a program that involves a class. Once you have hurt your back, exercise may or may not help in speeding up your recovery. It is believed that for accute pain (pain that has come on quickly and lasts under one month), exercise may not help the speed of recovery, but it will help build your back up for the next time. While before, it was believed that immobility was the best way to get rid of back pain, it is now believed that moderate movement (though no sort of strenuous exercise) helps the muscles stay toned and strong, preventing further weakening and spasming of the muscles. There is more positive research on exercise helping alleviate the symptoms of persistent back pain. Begin very slowly with isometric exercises like knee lifts. Lying on your back, flex your knees up while pushing your spine into the floor. Hold for 5-10 seconds and release. The double knee stretch described above is a good starter exercise as well to build and stretch back muscles. A modified chest lift, in which you lift your chest with the support of your forearms and hands is another good starter. Once you have gotten some relief from these exercises, start a low impact aerobic workout. If you have access to a pool, aqua-cize is a great way to get moving without putting undue strain on your back. Walking and biking are two other ways to ease into a full-body workout that will lead you to a lifestyle that supports not only back health, but full body health. Chiropractic Practice: Alternative Treatment Or Pseudoscience?